The Bench Cookie from Rockler has been a hit since its launch and it didn't take long for them to end up in shops around the country. 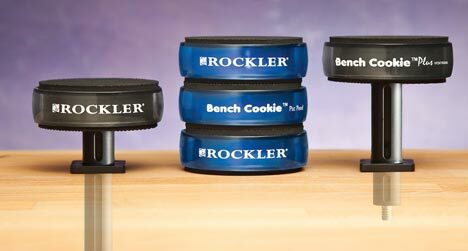 This year Rockler is looking to add on to the success of the Bench Cookie with the new Bench Cookie Plus and Bench Cookie Home Edition. The Bench Cookie Plus takes all that is good from the Bench Cookie one step further with the addition of a threaded insert in the face of the cookie. Attaching one of the optional risers into the insert lets users elevate their material higher off of the work surface to offer greater clearance for jigsaw blades, drilling, etc. The raisers can also be used in any 3/4" bench dog hole, or your own 3/4" holes for even greater stability. I like the idea of a slip free saw horse. One of the problems with the bench cookies it that they are too handy, so much so that they were being used outside of the workshop and in the home. 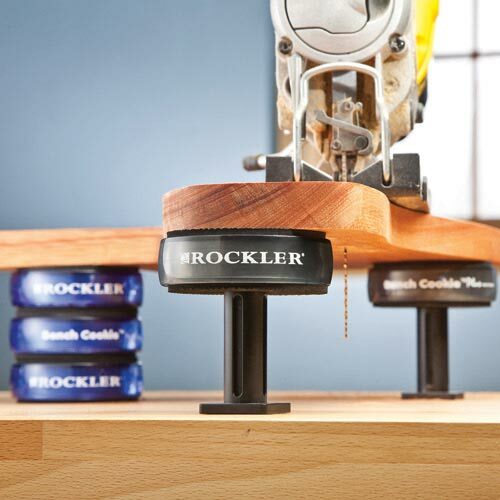 For this, Rockler has created the Bench Cookie Home Edition. It is similar to the original BC, except that the labeling has been moved from the sides to the top. This gives them a much sleeker look that will fit in with you A/V equipment, and other areas in your house. 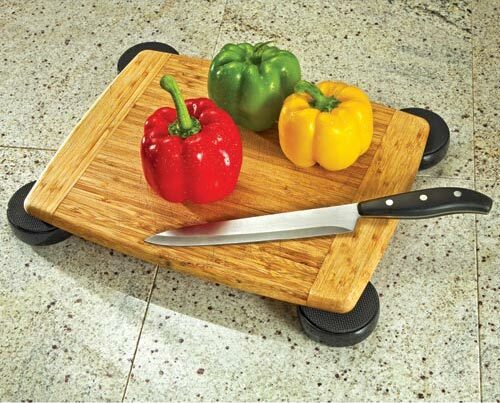 The BC Plus is priced at $13.99 (4 pack) with risers selling for $3.99 or $7.99 for a 2 pack. BC Home is priced at $11.99 which is the same as the Original BC.